The solution, which has been kicked around for years, became much more concrete on November 28, when five members of the U.S. House of Representatives – three Democrats and two Republicans – introduced H.R. 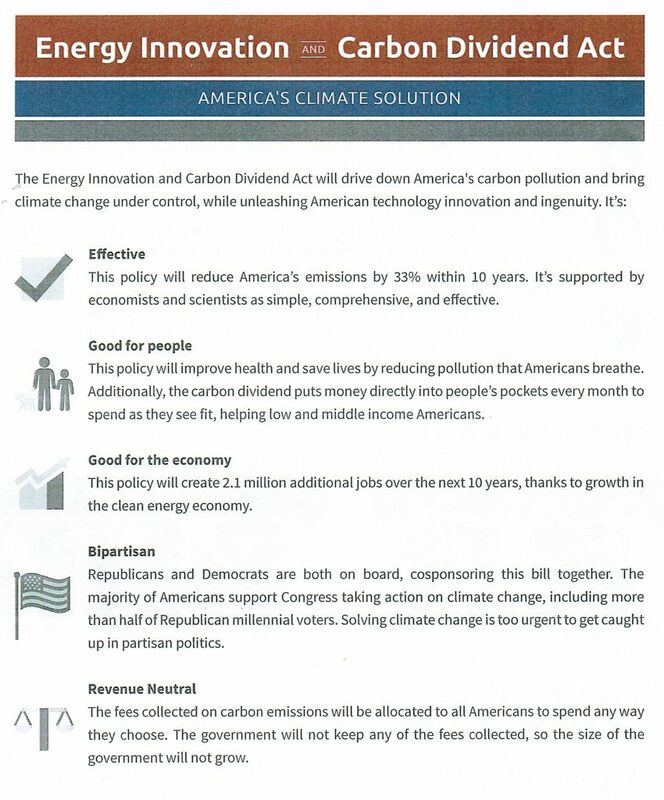 7173, the Energy Innovation and Carbon Dividend Act. 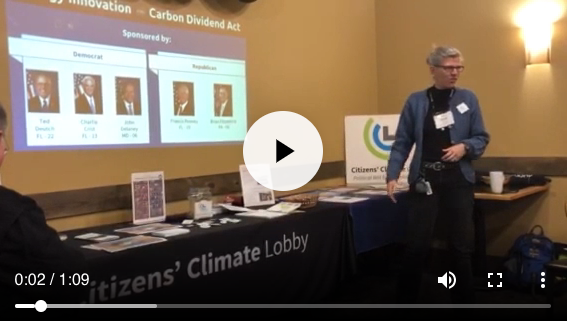 Mindy Ahler from the North Wind Region of Citizens’ Climate Lobby presents in Fargo, N.D., on climate change, the Citizens’ Climate Lobby and the recent introduction of the Energy Innovation and Carbon Dividend Act in the U.S. House. Click to watch the video. It’s unlikely there will be any action on H.R. 7173 during the lame-duck session of Congress currently underway. However, the sponsors plan to reintroduce the bill in the next Congress. In the meantime, the bill provided something positive and concrete to discuss with North Dakotans. Thompson said open discussions between people and legislative representatives with differing opinions and points of view will help change the “culture of dismantling” in Washington, D.C., where one presidential administration or controlling political party tears down what its predecessor accomplished. And that, he said, is the only way to drive lasting change. 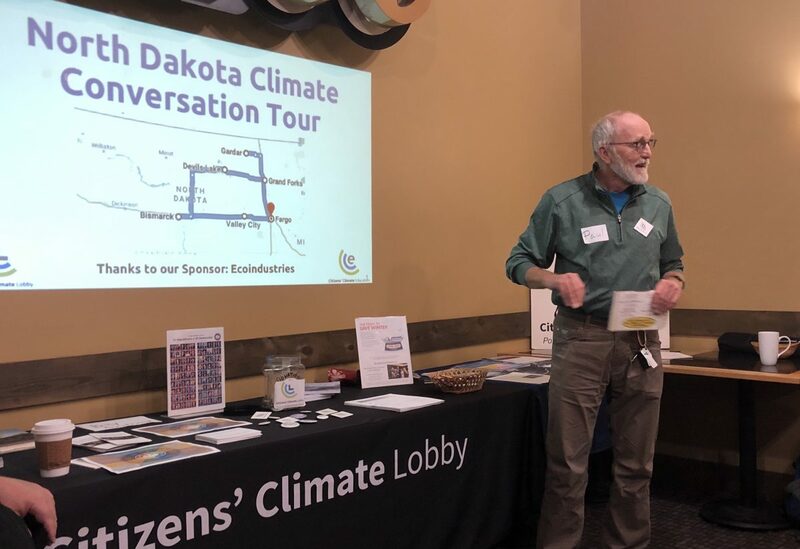 “Citizens’ Climate Lobby is a non-profit, nonpartisan, grassroots advocacy organization focused on national policies to address climate change.” It’s volunteers “…are organized into hundreds of local chapters across the US and around the world.” CCL’s North Wind Region comprises Iowa, Minnesota, Nebraska, North Dakota and South Dakota.